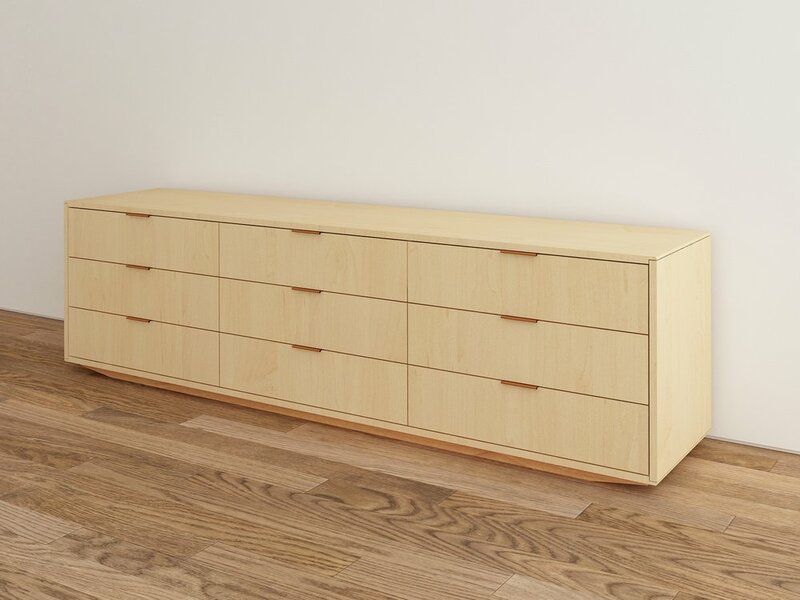 The Dresser offers monolithic storage in both six and nine drawer options. The drawer pulls are available in a variety of options. All drawers are soft closing. See collection photos for Credenza and Bed Side Table products.